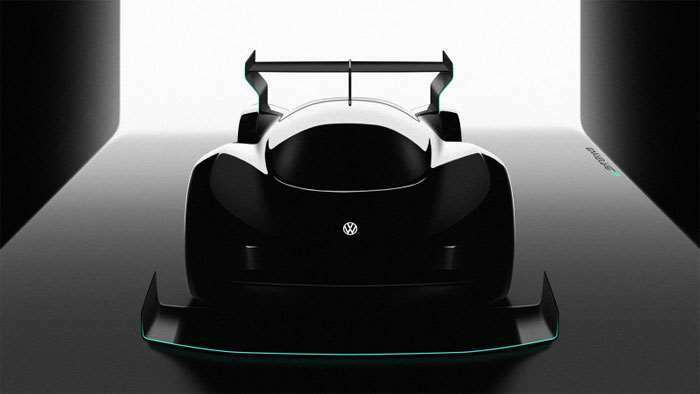 VW has announced that it plans to run an electric prototype at next year’s Pikes Peak International Hill Climb in Colorado. The single dark taser image we see here is all the detail that VW has offered up. We do know that the automaker thinks its offering will crush the EV prototype record for the race. The car has lots of wild looking aero, something commonly seen on Pikes Peak racers. It has been a very long time since VW competed on Pikes Peak. The last time was back in 1987 and used a very crazy, custom car back then. That car was a dual motor turbo Golf. The video you can see below of that crazy Golf gives you a look at what the track used to look like. The entire Pikes Peak road is now paved. It’s also insanely narrow and has literal hundred foot drops off the side of the narrow two-lane. Pikes Peak racers are a special kind of crazy, it’s a harrowing drive at the roughly 20 mph speed limit.